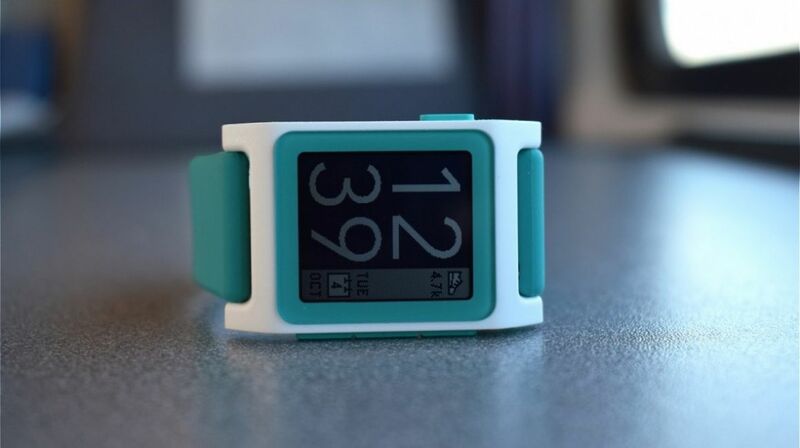 Rebble, the project started by Pebblers to continue support for Pebble smartwatches after Fitbit finally pulls the plug, has now revealed more details of the features that users will still be able to access. A post on the Rebble blog from ex-Pebble employee Katharine Berry introduced Rebble Web Services, which aims to fill the void when Fitbit switches off the Pebble servers in June later this year. Doing that will of course impact on a host of Pebble features including the app store, weather support, email actions and more. In terms of what Rebble aims to replace with this new service, this will include a Rebble Store with hopes that you will be able to pull in a list of apps you've already installed from the current app store. Apps will continue to have Timeline support, although the onus will be on developers to update their apps to continue that support. Built-in weather and dictation support will now become paid-for features. One feature that unfortunately won't make the cut is iOS SMS and email replies/actions. That's because according to Berry, privacy and security implications of having access to email accounts along with the need to replicate the agreements Pebble had with carriers and providers for SMS support is just not something Rebble is able to do. There's one last thing Rebble needs to talk about and that's exactly how it's going to pay to make this happen because running these services unsurprisingly is not going to be cheap. As mentioned, weather and dictation features will be paid-for features and Rebble will setting up a Patreon for those who want to donate to keep the services running. Rebble is toying with two options right now. The first is that if you don't pay anything at all, you will still get access to your Rebble account, the app store, timeline, and CloudPebble. The alternative is that users possibly pay around $2 a month and that will include access to everything including the weather and dictation features. The post finishes things up by giving Fitbit some love at a time where no doubt a fair few Pebble smartwatch owners still have a lot of hate in their heart for the company that bought Pebble. Berry mentions the fact the Fitbit kept servers open longer than they had originally announced and that the company has been working with Rebble to offer a solution for those who just don't want to let go of their Pebbles just yet. So Pebble fans, what do you think? Are you happy with what Rebble's Web Services will offer? Would you be willing to pay for it? Let us know in the comments section below. I’ve been a regular member of the Pebble Junkies Facebook group for some time and I think I can safely say that on behalf of the entire 6000+ members, we are very well thankful for what Katharine and the Rebble group are going to do to keep this great ecosystem alive. Though many of us were not in favor of where Pebble ended up amidst its acquisition my FitBit, we’d be remiss if we didn’t give thanks to them for keeping the servers running past 1 Jan 2018 to at least five Rebble time to get up and running. Thank you, Katharine, Rebble and FitBit. I would be willing to pay (monthly? yearly?) to help keep some of the Pebble ecosystem working. I would also but I don't think my pebble will last much longer. Can someone make a new e-paper watch that is pebble-compatible? I think this is all so admirable. Yet I have lived the sudden fall of Palm and the demise of Nokia's N800 with Maemo Linux. Things move on fast, even with leading products like these that the other industry strangely takes years to even catch back up to. Yet it is has me looking forward to what perhaps Ionic from Fitbit might achieve in time. I surely love my Pebble2, and will stick with it to the very end. I'd certainly be prepared to pay. I keep trying to find a replacement for my Pebble Time, but keep failing. Tempted by a Pebble 2 but need to know support would continue. Well done Rebble!